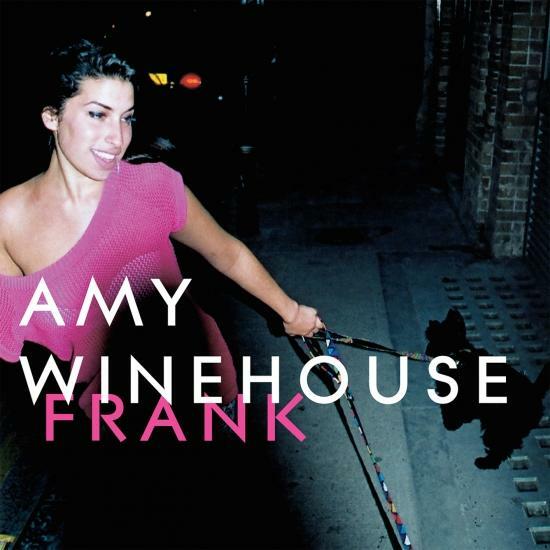 With her debut album Frank, Amy Winehouse proved to an original, honest and brave singer/songwriter. The 13 songs comprise husky vocals with soft trumpets and laidback beats. With her fresh style, Winehouse introduced a new playful and arrogant side to soulful jazz in Frank. „It is rare for such a young performer to debut with such assurance, confidence and to such instant acclaim, but North London sensation Amy Winehouse already has a reputation that many far more seasoned artists would swap their gold discs for. Winehouse combines a distinctive '20 a day' voice with a serious appreciation of female jazz & soul heroes (Sarah Vaughan's scatting style seeps through Amy's vocal ad-libs as well as getting a name check). She combines considerable jazz guitar ability with a classic approach which produces a contemporary, quirky, up front, tongue in cheek and risqué lyrics. Her version of the eternally hip jazz track 'Moody's Mood For Love' which rides over a dub reggae rhythm demonstrates this attitude it looks back in order to know where its going and although in print this idea might raise a musical eyebrow in reality it sounds like a perfect partnership. The first single 'Stronger Than Me' contains all of these qualities and proves that jazz influenced contemporary soul neednt be safe or sullied by the dinner or 'smooth' prefixes. Lyrically fresh and uncompromising, the only occasional weaknesses across the collection are the sometimes obtrusive programmed beats but recent radio & television appearances confirm that Winehouse live has a wonderfully organic sound that supports her approach well. Amy's influences (Vaughan, Dinah Washington and the more contemporary like Badu et al) are obvious but not over powering and Winehouse has enough attitude, talent and chutzpah to make any comparisons fleeting and pointless. In fact on the delicious, lush and soulful 'Put It In The Box' she out Badu's Erykah brilliantly using a similar female perspective on broken relationships to get her point across very directly.